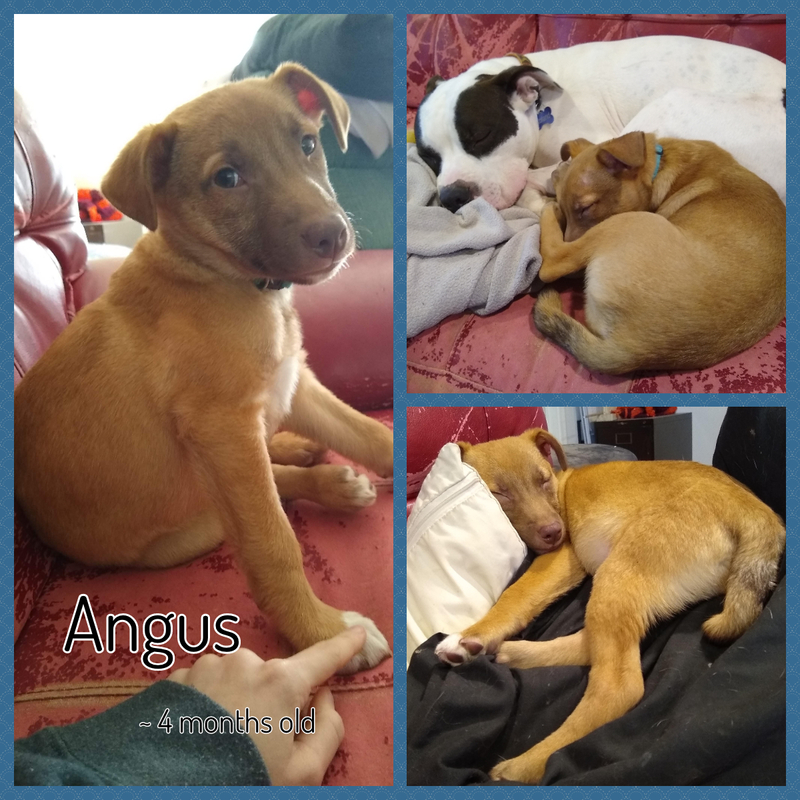 Angus has been moved to a new foster where he is the only pup - and he has been thriving! 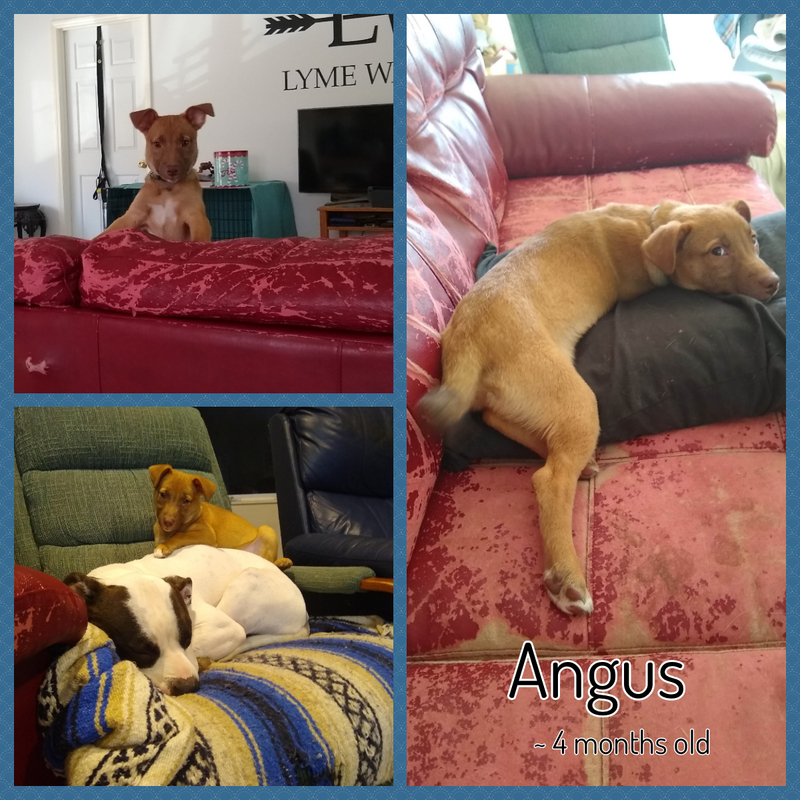 While Angus loves to play with other dogs, he would be fine as an only pup in the house as well. 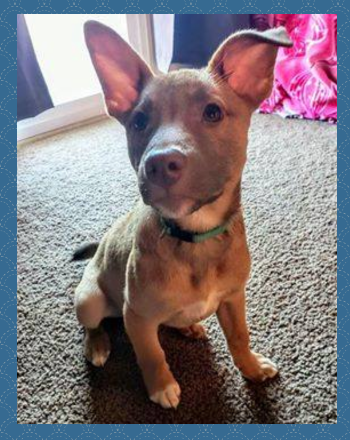 He is a spunky little boy who loves playing and roughhousing with his foster siblings. He can even go outside without a leash because he sticks with his pack which is great because he loves to run. Angus doesn't really like to picked up and held but when you're not paying attention, will sneak into bed and cuddle. His foster reports that he is doing well on basic commands. He knows sit and wait and is particularly responsive when you have treats!! He would love a home with other playful pups but is a little unsure about tiny humans still. Children are little intimidating, but his foster feels that if they give him the chance to warm up, he may be a good fit. Angus is still working on potty training but is getting better! He also is working on the crate training as well but doesn't love being separated from his other canine friends. Named after Angus Young from ACDC, I am a terrier mix puppy and I am about 7-8 weeks old (as of 11/15). I was found with my other 4 brothers and had a belly full of worms. After some medicine, I am good to go. I love playing with my siblings, and I am starting to work on potty training!